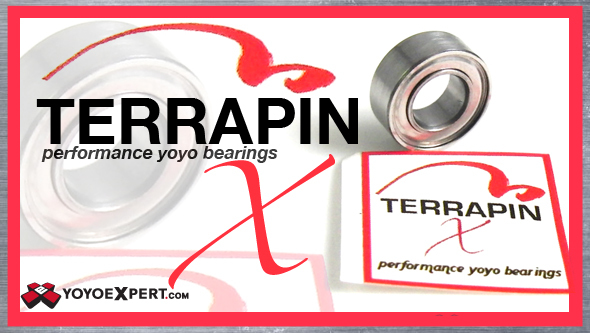 The Terrapin X bearing has attracted a lot of attention in the past few years. This bearing will sleep a yoyo for over 3.5 minutes when simply rolled off your hand. No Throw at all! 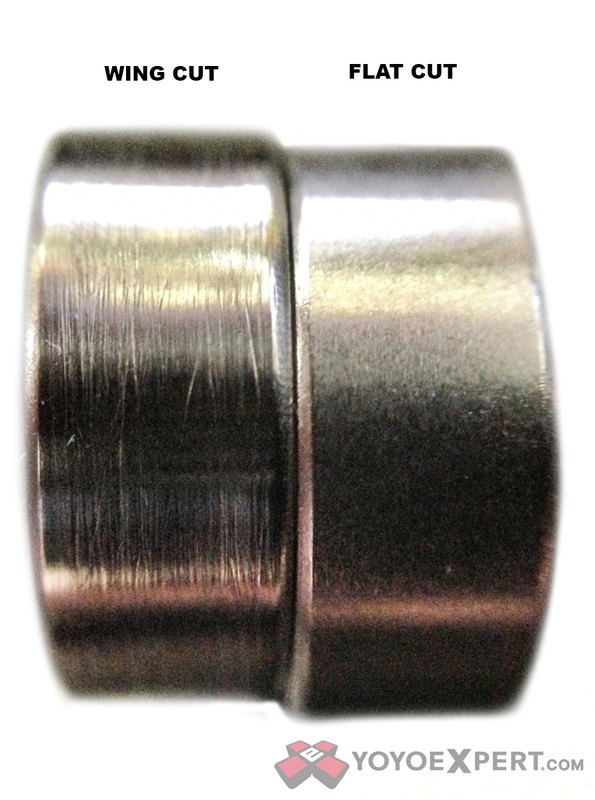 Only precision hybrid bearings never require further lubrication. Dissimilar materials (ceramic balls and steel races) prevents galling. The dyno tested precision 10 ball ceramic hybrid bearing used was selected for the ability to maintain high RPM's with a slow decay rate from 8,000 to 2,000 where 1A happens. A five step treatment process, developed by Terrapin, dramatically reduces friction and maintenance. Each bearing tested to be dead unresponsive out of the package. Totally dry. Cleaning not recommended but if necessary use compressed air, distilled water or acetone. If you are reading this you most likely are somewhat skilled and throw a high end yoyo. Don't assume it came with a precision ABEC rated bearing, few if any do. Terrapin X bearings are rated for 100,000rpm continuous duty. Overkill? You bet! You will know it on the first throw. Also available is a 'Wing Cut' version. This precision machined dihedral profile occupies a space of only .003in. at its deepest (note it is not going to be as prominent other centering bearings). It relies on a mirror finish in creating a desirable platform for accomplishing extreme aerial movements while the barely visible shallow dip will center, but not restrict, string during play. Use the full gap freely. Play like you wish you could on a flat bearing. "If you think a bearing does not make a difference in a yoyo... you just haven't tried a Terrapin X" Yet! All TX size C bearings are 10 ball.